It was clear that after the dismal performance of last season, a lot of work was needed in order to put United back amongst the leading pack. As well as taking place on the training ground, this work was done also in the transfer market. 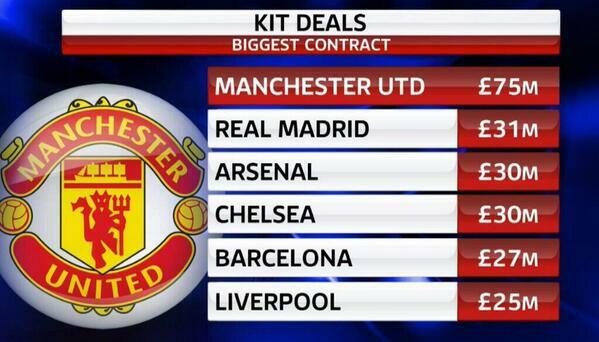 Despite Liverpool’s outlay of over £130 million, it was United who were the biggest spenders in England. Their expenditure of almost £170 million eclipsed their long-standing rivals’ shopping spree. Though Liverpool recouped the large majority of the money through the sale of Luis Suarez to Barcelona, Manchester United had no such luxury. Under Louis Van Gaal, Manchester United’s net spend this summer has been £122 million. The combined net spend of Arsenal, Chelsea, Liverpool and Manchester City this summer has been £124 million. With such a financial outpouring, you have to wonder if United are going to be left paying the price come the end of the season. There is no doubt that the signings of Angel Di Maria and Radamel Falcao are going to improve the United team, despite them not being particularly what was needed. United have not only looked poor defensively, but they have looked poor in front of goal, and poor creatively, and it is these areas that seem to have been deemed as the most important to rectify. Having fallen so far behind last season, such signings are no longer to cement United’s place near the top of the table, but instead symbolise the catch up game that is now being played by the club. In the 480+ days that David Moyes and Louis Van Gaal have been in charge, Manchester United have spent more money than in the last 5 years of Sir Alex Ferguson’s reign. Though many United fans are applauding the business that has been done, and are eagerly anticipating getting back in amongst the “big boys”, these should be worrying times for everyone involved with the club. Quite obviously such transfer activity cannot occur on a regular basis, and is entirely unsustainable. The investment made in the players during this transfer window needs to pay off, or Manchester United could find themselves in the Premier League wilderness, as well as a financial black hole. In United’s defence, many may point to the extraordinary kit deal that they recently signed with Adidas, saying that that deal, along with the various other commercial incomes, will be enough to keep their heads above water. However, if the captain of the ship begins to issue words of warning, it would be foolish of the passengers to claim that everything is all right. Even before the titanic transfer outlay, the United bosses were “stressing the potential financial perils that lay ahead”. As well as this, such a failure would also affect the kit deal whose annual payments would drop by 30 per cent if United were to be out of the Champions League for two seasons or more. If this situation were to occur, it would be exasperated by the fact that United’s rivals, who would have gained Champions League football, would be handed an extra £40 million each due to BT’s lucrative television rights which are set to start in the 2015/16 season. More and more it is becoming clear that Manchester United’s transfer dealings this summer are gambles, rather than well thought-out policies. Such gambles are not confined to simply the reign of Van Gaal either. Under Moyes, United took the decision to award Wayne Rooney a new five-and-a-half-year contract which would give him £300,000 a week. Phil McNulty, the chief football writer for the BBC stated that Rooney’s new contract was “a demonstration – some might even say desperation – to show that United… can still keep their best players even at a time when their own status in the domestic and European game is reduced”. Despite such a vulgar wage, Rooney is not even the top earner at United these days. Following the signing of Falcao, he has been displaced as the player with the highest salary. According to CityAM, half of the top eight earners in the Premier League can now be found at Old Trafford. 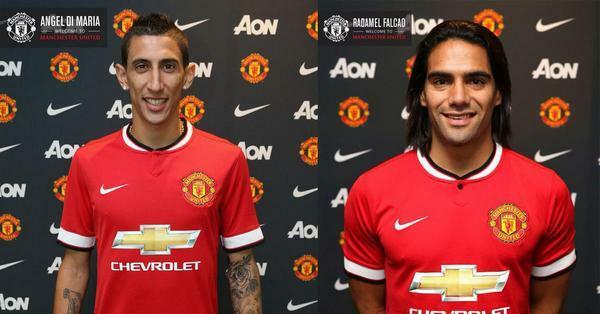 The combined wages of Falcao, Rooney, Di Maria and Van Persie will cost United £57.9m over the next 12 months. It is a twelve months that could shape United for the next decade. A substantial drop in income, coupled with domestic and European failure, could see a host of quality players opt to leave Old Trafford, or simply never go in the first place. We have already seen rejections given by Marco Reus and Thomas Muller this summer, and you would have to think that despite Falcao’s apparent allergies to Champions League football – having not played in the competition since 2010 – he would choose to move on to another club come the end of his loan spell. For Van Gaal, the United hierarchy, and for the millions of fans around the world, this season will be crucial. The cards have been dealt, the chips have been cast, and we hold our collective breath to see if the gamble will invigorate a failing United team, or ostracize it further.